Hoppy was sentenced to 9 months on June 1st 1967 for possession of cannabis. 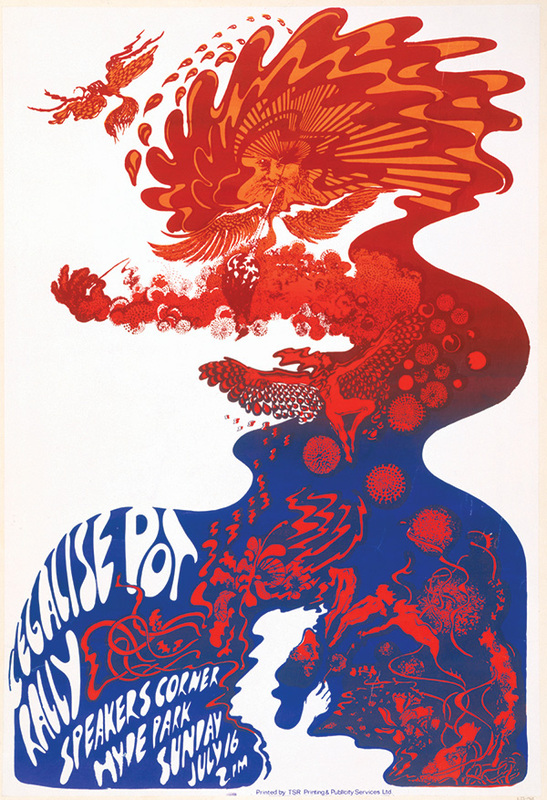 This event along with the arrest of some high profile rock personalities led to a ‘Legalise Pot Rally’ in Hyde Park on July the 16th 1967 and a commission from Osiris to design the poster for the rally. 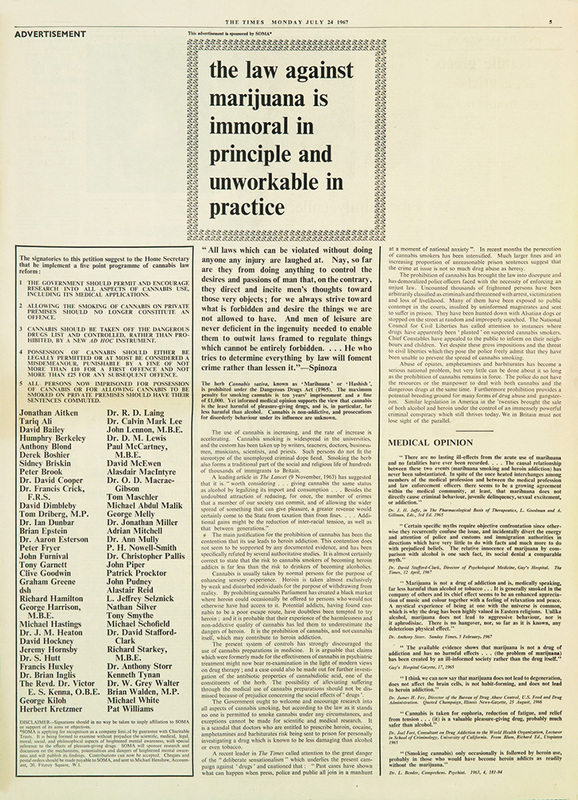 I was also approached by Steve Abrams, founder of the drug research organisation SOMA (Society of Mental Awareness), to design the newspaper petition to legalise Marijuana published in The Times on the 24th of July 1967. The posters poured shape and blobby, melting forms attempts to illustrate the formless, liquid state of being high. The rising narrative in the poster image depicts fairy forms in the lower, cool, part and an Icarus figure rising towards the heat of a sun god. The pictorial journey from bottom to top represents states of drug experience from mild-tripping to mind-blowing. An attempt to illustrate Meher Baba’s cautionary statements on drug taking.